Some people confuse lazy eyes with “cross eye” (squint). Read on to learn more. Lazy Eye is a disorder in which there is poor vision in an otherwise physically normal eye. It only develops during childhood, but if not treated early enough, it will persist throughout adult life. The medical term for this condition is 'Amblyopia'. Lazy eye (amblyopia) is due to incomplete visual development within the brain. The human brain requires visual stimulation to develop fully. Anything that interferes with clear vision in either eye between birth to 8 years of age can cause amblyopia. Common causes include presence of high amount of long or short-sightedness, squints ('cross eye'), or anything blocking the vision of one eye (eg. droopy eye lid, childhood cataract). Lazy eye (amblyopia) normally only affects one eye, but if both eyes are deprived of a good, clear visual images for sustained periods, the condition can arise in both eyes. Early diagnosis increases the chance of successful treatment, as after the age of 8 years, visual impairment may become permanent. Conversely, if a child does not have amblyopia by age 8 years, then he/she is unlikely to develop it. One needs to have his eyes checked by an eye doctor. A refraction is done to see if spectacles can help improve the vision. If the vision cannot be improved with spectacles, the doctor will look for conditions that lead to poor vision, eg cornea scar, cataract or retina problems. 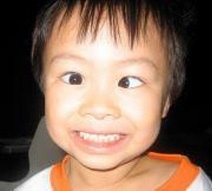 Consult an eye doctor if you think you or your child may have lazy eye. The condition is easily diagnosed. What kinds of treatments are available for lazy eye (amblyopia) for children? Firstly, if there is abnormal spectacle power, the child needs to be given appropriate spectacles which need to be worn all the time. Next, the child need to be encouraged to use the lazy eye. This is usually done by patching or covering the good eye, often for several hours per day. Treatment may take months, and even years, and is often more effective when it is started earlier. When amblyopia is detected too late (eg. after the age of 8 years), it is difficult to reverse the condition. It is therefore important that you have your child checked if you or the school health services suspects or picks up a potential problem. What treatment is available for adults with amblyopia? Neurovision™ is clinically proven, non-surgical and risk-free treatment for amblyopia. This is also known as RevitalVision in the USA. It is a vision enhancement technology that uses a series of computer based interactive programmes to train the brain to see sharper. This treatment can be done for people above the age of 9. The amblyopia treatment is 30 minutes a session, administered 3 to 4 times a week, during which the individual will look at images on a computer screen placed 1.5m away. There are a total of 60 sessions. It will take approximately 3 months to finish the Neurovision™ treatment. This treatment can be done at home with the use of a special laptop purchased from the Centre that provides this treatment. Neurovision treatment is available at Shinagawa Eye Centre.